My monte Carlo is a silver coupe. The vehicle itself is quite spacious. My monte Carlo drives well and gets me where I need to go. The gas is decent for a first car. It does ride very low so potholes are pretty rough on the car. I have had to replace my shocks a few times since buying the car in 2017. I do enjoy the car and the mechanics of it are generally easy to figure out. 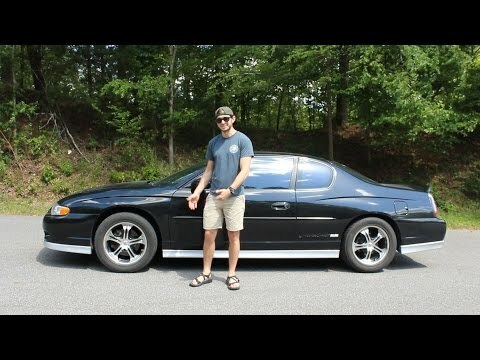 What I like most about the car is that it kind of fast because it is a ss.. The thing I hate it is a two door and I am like 6'3 so I try not to have more than two people with me because I am to talk to have someone sitting behind me and I hate letting my sit up to like someone sit behind me. It's almost a sporty car. Love the body style. We have had only a few repairs on our monte Carlo, the body is in really good shape and it gets pretty good gas mileage. Although we didn't pay much for the car new it's been a reliable car. We are so happy that we made this purchase we have saved lots of money over the last few years.